Health Enthusiast Co. would like you to experience their delicious range and are offering you the opportunity to purchase a sample carton. 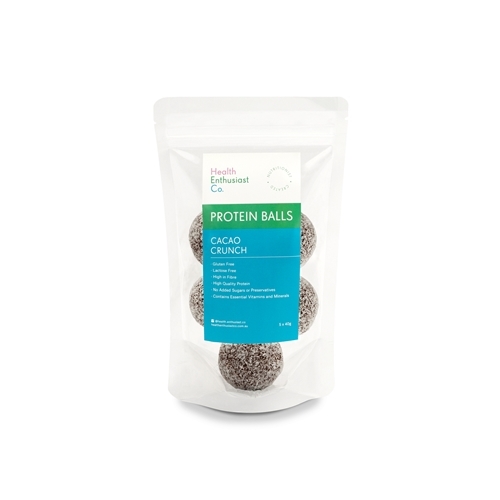 Highly Nutritious Protein Balls, well worth tasting!! Total of 20 balls to try on your customers!!! PLEASE NOTE: the purpose of this carton is not for re-sale, but to sample yourself, staff and any customers you think maybe interested. Remember this is a small investment, why not increase your average customer spend by adding a new grab and go offering to your counter. We all know up-selling to existing customers is the easiest option!! NOTE: 1 sample carton per customer, please contact us if you require more for other stores. Please see individual product images above for ingredients. Upon receipt of goods you'll see ingredients and nutritional information on packaging.